The group Pêcheries du Sud gathers key actors of the seafood sector in Madagascar. Its activities are mainly based in Madagascar, but the Group is also a partner and reference shareholder of Groupe Réunimer, based in La Réunion. Pêcheries du Sud is present in the main links of the seafood value chain through its various subsidiaries, from production (fishing, aquaculture) to processing and packaging in factories and marketing on local and international markets. • Indian Ocean Trepang (IOT), a company specialized in the breeding and export of sea cucumbers that I&P has been supporting since 2012. IOT associates isolated fishing villages with its activity, generating additional income and thus fighting against overfishing and the extinction of marine fauna. • COPEFRITO: Established in Tuléar since 1995, the COmpagnie de PEche FRIgorifique de TUléar, or COPEFRITO, is a Malagasy limited company specialising in the collection and processing of cephalopods (octopus, squid) and other products such as lobster, crabs and certain fish. 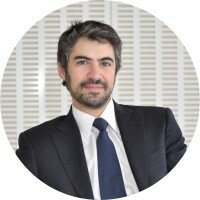 Olivier Méraud has worked with Copefrito since 2004, where he has held several operational positions. He is a Merchant Navy Captain by training and has worked in the fishing and seafood trade for 12 years. In parallel to his duties at Copefrito, he co-founded Madagascar Seafood (MSF) in 2005 and is now one of its main shareholders and Chairman. Jaco Chan Kit Waye is the current Managing Director of IOT, and and experienced entrepreneur. After having created and directed Copefrito, he founded in 2008 the company Madagascar Holothurie, now IOT, in association with a local partner and a team of university researchers. His environmental and social commitment led him to work as early as 2003 for the first natural resource management site with a fishing community and several NGOs to develop a protected marine area while improving the living conditions of fishermen. In 2006, Jaco was named "Malagasy SME Manager of the Year" (prize awarded by the BNI Madagascar of the Crédit Agricole group). • Involvement in several rural development projects in Madagascar, in partnership with NGOs directly linked to the group's aquaculture activities. Société Malienne de Blanchisserie is a Malian company providing a complete laundry service to hotels in Bamako. The company takes in charge the collect, cleaning and delivery of the hotels’ linen (ben linen, aprons, sponges, table linen, bath towels…). The company counts the biggest hotels in Bamako among its clients, including Azalaï, Radisson and El Farouk. To this date, the company is the only professional laundry service provider in Mali. Boureïma Lam is a Malian entrepreneur. He launched the laundry Société Malienne de Blanchisserie in 2007, a few years after the launch of one of the first dry-cleaners of Bamako (Pressing Lam). This previous experience made him realize the lack of professional offer for the hotel industry. In parallel Boureïma founded a training center dedicated to the laundry sector’s activities, as there is very little skilled labor in this sector. Carrières et Chaux du Mali (CCM) is a Malian company specialized in the production and commercialization of quicklime and agricultural lime. The company has access a high quality landform deposit of more than 70 million tons of raw material in its various forms. This supply will serve gold mining, agriculture, sanitation, and construction industries. The quarry and the factory are based in Karaga (340 km west of Bamako in the region of Kayes). The company significantly participates to the economic growth of this area: more than 70% of the employees of the production site come from Karaga area. The products will be offered in Mali and in the sub-region (Côte d’Ivoire, Guinea, Burkina Faso, Senegal, and Ghana). Madani Diallo, founder and director of CCM, stands as one the pioneer actors of the gold industry in West Africa. Trained as geochemist and mineralogist, Madani has more than years of experience in the mining sector. He held executive functions in major mining companies such as BHP Billiton and Anglogold Ashanti. He led mining exploration team, leading to the discovery of several gold mines. Neurotech was created in 2003 by Adboulaye Mbaye, a computer engineer graduated from Tunisia. He has worked more than ten years for major telecommunication and technology companies, such as Orange branch in Senegal, TIGO, CBAO, or Gambia Telecom. Abdoulaye actively contributed to the launch of the CTIC, the first ICT incubator in francophone Africa. He is deeply involved in the support and mentoring of young people proposing new projects in the ICT sector. Neurotech is involved in the network ‘’CSR Senegal” (RSE Sénégal) and is active on various social issues including education, environment, and the promotion of human capital. Thanks to this partnership, Neurotech set up a thorough CSR policy to support sustainable projects while keeping the focus on education issues and the promotion of new talents. Created in 1998, Ultramaille is a textile factory specialized in mid- and high-end fashion knit wear. ULTRAMAILLE was created by Frédéric Wybo, Managing Director of the company. Frederic lives in Madagascar for more than 20 years and benefits from an extensive experience in the textile industry. Frédéric Wybo is also Chairman of the board of Solidis Garantie, a surety company based in Madagascar, and associate member of Malagasy Association of Private-Equity Investors. Frederic is deeply involved on environmental and social issues, which is reflected in the management of the company. Barajii produces and commercializes water and locally produced fruit juices (Bissap, mango, ginger, etc.) packed in bio-degradable bags and PET bottles. Production currently takes place in Burkina Faso, with a main factory based in Ouagadougou and a small production unit in Bobo Dioulasso. Part of the production is exported to Mali. The company has produced more than 130 million liters of beverage in 2015. Barajii aims to develop its production and distribution activities in 8 to 10 countries over the next 5 years. the group has already launched with success a subsidiary in February 2016. Barajii is part of the group Durabilis. Founded in 2003, Durabilis is an international impact investing company specialized in the agro-industry sector with headquarters in Ghent, Belgium. Through the concept of shared value, Durabilis is committed to providing local and export markets with sustainable quality products, optimizing supply chains and improving the lives of employees. Since its creation, Durabilis has achieved notable successes in the production and export of fair trade products (Fair Fruit in Ethiopia, Guatemala, and Burkina Faso; Stévia One in Peru, Terral’s rice production in Senegal…). 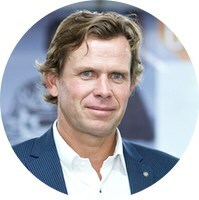 Barajii Group is managed by Peter Willaert. Based in Ethiopia since early 2016 to manage the launch of the subsidiary in the country, he previously successfully managed the Burkinabe organization. Before 2010, he worked for the Dutch NGO SNV in Ouagadougou, where he was responsible for the West African region. The Burkinabe branch is led by Abasse Kane, a Senegalese businessman with more than 15 years of experience in the agro-industrial sector. The Togolese branch is headed by Charles Netchenawoe, a Togolese citizen graduated from Ecole des Mines of Nancy. Barajii buys the fruits to local producers, providing them with additional income and opportunities. The group also provides them with training and agricultural inputs. Enko Education aims to build one of the largest African networks of private schools in Sub-Saharan Africa, with a strong emphasis on Francophone countries. Enko Education offers a renowned and high quality education accessible to the upper middle class in Sub Saharan Africa, with a strategy to constantly broaden its audience through an ambitious grants program. Enko is building its network by partnering with high-potential existing schools to rolls out a 3-year high school program, awarding the worldly renowned International Baccalaureate (IB) diploma. The IB curriculum puts an emphasis on students’ personal development and group work. It is highly recognized by international universities. Enko helps successful private schools to grow and improve learning conditions by bringing alongside funding, better management practices and new education tools. Enko programs are already implemented in Cameroun, South Africa, Mozambique and Côte d’Ivoire. 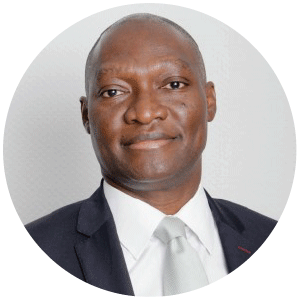 Cyrille Nkontchou is the founder and managing partner of Enko Capital Management LLP, an Africa-focused asset management firm with offices in South Africa and Great Britain. He is also the founder and executive chairman of the pan-African investment bank LiquidAfrica Holdings Limited. 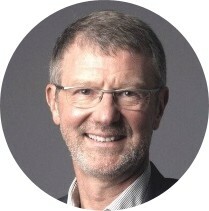 He started his career as a consultant with Accenture in France, and worked as a banker with Merrill Lynch in London. He holds a BA in Economics from Sciences Po Paris and an MBA from Harvard Business School. Cyrille was nominated as Young Global Leader 2006 by the World Economic Forum. Before EEI, Eric worked at BearingPoint, a management consulting firm. As an Engagement Manager, he helped his customers to improve their performance and scale. Eric is French, holds an MBA degree from the MIT Sloan School of Management, where he focused his MBA experience on understanding how digital technologies will transform education in Sub-Saharan Africa. Support its strategy to reach out to the lower middle class through grant programs. Africa Radio aims to launch a pan-African independent radio based on the African continent. Africa Radio will broadcast news, sports and cultural programs, as well as dedicated music programs to highlight the richness and diversity of African music. The project relies on the experience of Africa N°1, a pan-African radio created in 1981. Africa N°1 Paris, primarily aimed at the African diaspora, reaches about 980 000 listeners. Dominique Guihot worked as a radio journalist for France Inter, RFI and RMC and is the CEO of Africa Media SA. He manages Africa N°1 Paris for fifteen years. Dominique Guihot is the founder and manager of Africa Média SA, a communication company specialized in Franco-African projects. He also works as treasurer and administrator of the SIRTI, the Union of Independent Radios and Televisions. He is member of the African Press Organization’s international committee. Dominique has demonstrated a great interest for Africa and the African media over the course of his career. With the project Africa Radio, he intends to pursue the work accomplished with Africa N°1 and launch a true African radio, based on the continent and mostly composed of African journalists. Tincy is an industrial bakery created in 2009 in Cotonou. Tincy produces and distributes bread to consumers through a shop, a network of 24 kiosks, more than 50 shopkeepers and professionals from hostelry and restauration sectors. The bakery is launched in 2009. Initially conceived as a simple marketing exercise, the project proved to be a real success. In 2010, the turnover of the bakery exceeded the one of the consulting firm. Gatien Adjaboni is deeply involved in this new activity and has notably launched the National Association of Bakers of Benin, which gathers a dozen of professionals and represents to this day the only union in the sector. The company was founded by Gatien Adjagboni, a young Beninese entrepreneur who graduated from a French business school. He started his career at the Brtitish America. In 2006, he launched a consulting firm, named Tincy. The firm is still operational and employs about 10 people. Founded in 1993 and managed by Simon Rakotondrahova, SCRIMAD is specialized in the collect and export of litchi production, among other fruits and spices (vanilla, black pepper, cinnamon, etc.). SCRIMAD is certified "Fair Trade" and notably works with ETHIQUABLE, a french co-op specialized in organic agriculture and fair trade. The partnership with I&P aims to help the company diversify its activities and ensure stable income to the partner farmer organisations. Founder and manager of SCRIMAD, Simon Rakotondrahova has notably chaired the Madagascar Chamber of Commerce and Industry and “Gelmada”, a gathering of Litichi exporters in Madagascar.